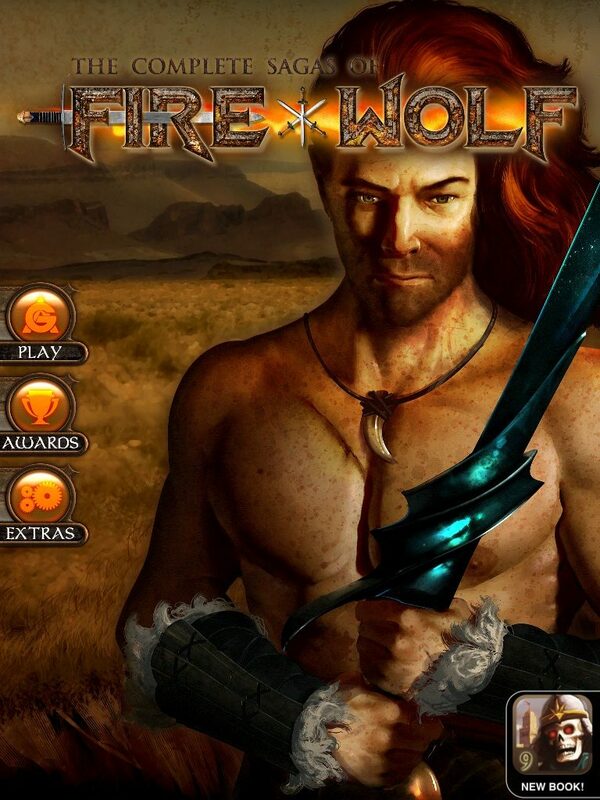 The Complete Sagas of Fire*Wolf, formerly only on Android, is now heading onto iOS, PC, and a handful of other platforms. The main menu is a scantily clad girl and a unicorn away from being a Boris Vallejo painting. Who said that choose your own adventure books are dead? Instead, they seem to live on as a delightful combination with their PC brother the text adventure in the form of “interactive fiction” titles. Long popular in Japan, these kinds of pseudo-games have only recently begun to see real popularity in the US and worldwide. Tin Man Games have fully embraced this rising genre, and as their latest release — The Complete Saga of Fire*Wolf — shows, they have confidence in its popularity. The Complete Saga of Fire*Wolf is based on a series of four fantasy novels written by Herbie Brennan all the way back in the olden times: the 1980’s. Now, all four books have been combined together (with Brennan’s help) into one contiguous book/game combo, allowing players to follow the barbarian’s adventures from start to finish, and even help decide what happens at certain points, all without having to flip one real-life book page. By combining dice-rolling mechanics, card mechanics, and even an RPG-styled stats and magic system, the gamebook gives its world a very interactive narrative. The Complete Saga of Fire*Wolf is available now on iOS, Android, Amazon’s Kindle App Store, PC, Mac, and Linux, and can either be purchased individually or for everything at once via one cross-platform purchase at Tin Man Games’ own web store.